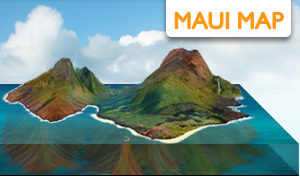 Maui Campgrounds & Information on Camping in Hawaii. 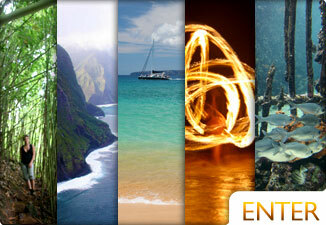 The following is a description of the available camping on the island of Maui. These spots range from difficult to access with heavy hiking, to easy spots with drive-up access. 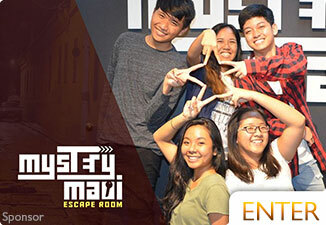 If you plan to camp on Maui but don't know what to do about packing all of the necessary gear, Camp Maui-X offers excellent alternatives to those seeking a fun outdoor adventure while visiting The Valley Isle. Simply rent camping equipment kits that include items like tents, pillows, coolers, grills, chairs, sleeping bags, head lamps and more, or choose the SUV or Truck Rooftop Camping options to kick back with absolutely everything you need. For those looking to up the comfort level a notch, Camp Maui-X also offers a Super Excursions option, which includes catering for your group, tour guiding, and a sense of 'rustic luxury' that makes the views in Maui that much more spectacular. To learn more or reserve your gear, visit Camp Maui-X or call 808-298-5828. Located in the cool and windy climate of Haleakala's cloud belt, Hosmer Grove Campground is just below the 7,000 ft level of the summit area. Because of the elevation, you will most likely experience temperatures of at night in the 30's or below. During the day, highs are from 50-65°F. Chance of rain here are good. You'll be camping on a grass area next to the shrub land and forest of Hosmer Grove. It has a few picnic tables, pit toilets, some barbeque grills, and drinkable water available. No permit is needed at Hosmer Grove for camping, and it has a 50-person maximum. With the abundance of habitation, mornings here are active with animal and bird noises. Hosmer is a great place to get up for an early hike of the self-guided nature trail that begin and end at the campground. Kipahulu is one of the favorite Maui Campgrounds by locals. Sitting on a grassy area just above the ocean, warm breezes bring the sounds of crashing waves to your campsite. This area is often wet with regular rains, which causes this site to be a favorite for local mosquitoes as well. 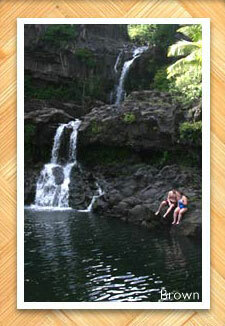 Kipahulu Campground is only a short walk to Oheo Gulch and the Seven Sacred Pools just north. With no water available, this camping area does have a few amenities, though you'll have to bring most everything you need. It has some picnic tables at select sites, a grill at every site, and some communal chemical toilets. A maximum of 100 people are allowed to camp here. Seek out your spot, and then take a walk to the Kipahulu Visitor Center only 1/8 of a mile away for your permit. The park officials here are quite friendly, and lax about what time you need to pay them, so long as you do. For those of you that really like to hike and get away from the crowds, Maui is home to some isolated wilderness camping. The Wilderness Campgrounds at Paliku and Holua are a challenge to get to and camp at even for the most experienced outdoorsmen. Each of the grounds offers a maximum of 24 people to camp, though you'll rarely see this many. The group limit is 12 people. Campers can get the required free permit at any visitor center where they will have to do a 10-minute orientation. These campground permits are given on a first come, first serve basis from 8am to 3pm, though special accommodations can be made up to 6 months ahead of time for educational groups. There are some time restrictions. The maximum anyone can camp is 3 nights in a 30-day period, of which only two of the nights can be spent at one of the two sites. The campsites have pit toilets, non-potable water, and wild Hawaiian goose. There are no open fires allowed at either camp spot. For the shortest hike to a wilderness campsite, Holua is a great option at 6,940 feet, near Koolau Gap. 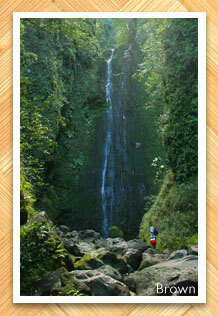 Located 3.7 miles down the Halemauu Trail, Holua is set in shrub land around lava flows. It is 7.4 miles from the Sliding Sand Trail, needed to get to Paliku. 9.3 miles along the Sliding Sands Trail, and 10.4 miles on the Halemauu Trail, you'll find Paliku Campsite on the east end of the wilderness valley. Located 6,830 feet from sea level, Paliku is at the base of the rainforest cliffs. The hike is advised for the expert hiker, as it is very difficult and long. Paliku is lush and cool due to the frequent rains that come in with clouds and fog from over the cliff tops. This is one of the more beautiful spots on Maui. Polipoli is located 6200 feet elevation in Kula Forest Reserve. With trails weaving through the forest reserve, Polipoli camping is an incredible experience. 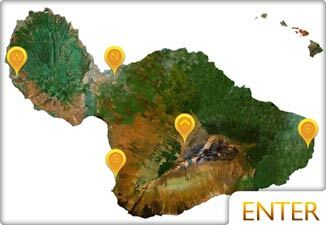 Located 9.7 miles up from Kula, you'll find the views encompass all of Maui from the central valley, to the west Maui Mountains. 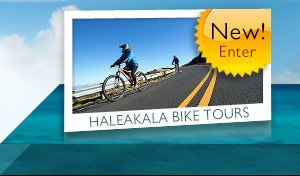 You also get views of both the North and South coast and the neighboring islands of Lanai, Kaho'olawe, and Molokai. There is one cabin and plenty of camping area. It is recommended to have a 4-wheel and plenty of clothing. In the winter, temperatures can reach below freezing. There are no showers and some hunting in season for pigs and birds. 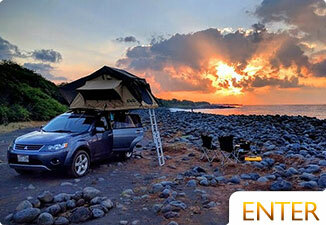 Located in Hana off of the Hana Highway, Wai'anapanapa camping is found at the end of Wai'anapanapa road. 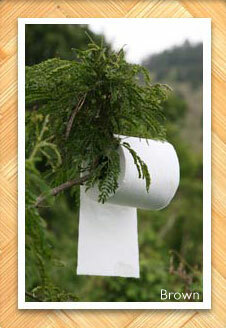 This campground and park is a much sought after area by visitors to Maui. With the perfect black sand beach, natural blow holes, lava tube caves, native hala forest, natural ocean arches, and dramatic sea stacks, Wai'anapanapa is legendary. Its legend is everywhere, but especially in one of the caves where a powerful story of ancient Hawaiian Ali'i echoes. Around 2 1/2 to 3 1/2 hours from the Kahului airport, depending on how much traffic you hit and how many times you stop for waterfalls, this is an ideal camping spot with great shore fishing, some lodging, picnics, and hiking. One ancient Hawaiian coastal trail leads all the way to Hana. Wai'anapanapa is a tough one to get a permit for though. You need to get one in Kahului before you leave on your trip. The lady in charge is elusive. Also, be prepared for the most unfriendly State Park staff you'll ever encounter. Next to the Kahului airport, Kanaha Beach Park is one of the last Maui County Parks that offer camping. Amenities include drinking water, chemical toilets, picnic tables, bbq pits, outdoor showers, 3 volleyball courts, lifeguards, payphones, and a great beach. It allows for 15-20 people at one time, and a 3-day maximum is enforced. Most Hawaii Photography courtesy Natalie Brown Photography. All Rights Reserved.